Very clean and close to the metro station and the airport. torn bedsheets, dirty bathrooms, bad location.. staff dont understand...tv noise is too high..
Why Stay at a B&B in Mumbai? If you want to find an accommodation with fewer rooms than the traditional hotel and an intimate environment, a B&B might be the perfect option for your getaway to Mumbai. 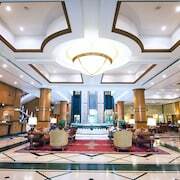 You'll find 972 lodging options and 5 B&Bs for your vacation in Mumbai. While you're in Mumbai, Mt. Mary Church and Siddhi Vinayak Temple are top monuments, and if you'd like to spend some time soaking in more of the culture, you could stop and see a show Prithvi Theatre Plaza Cinema. 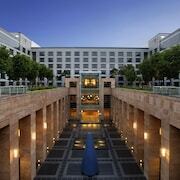 Travelers enjoy Mumbai for its array of dining options and major shopping area. If cultural attractions are high on your list, Nehru Planetarium and Chhatrapati Shivaji Maharaj Museum are spots to check out. You might put Mt. Mary Church and Siddhi Vinayak Temple on your list if you want to see more of the area. Fly into Mumbai (BOM-Chhatrapati Shivaji Intl. ), which is located 1.4 mi (2.3 km) away from the city center. Metro stations nearby include Airport Road Station and Grant Road Station. If you want to journey outside of the area, ride aboard a train from Mumbai Ghatkopar Station, Mumbai Vidyavihar Station, or Mumbai Vikhroli Station.